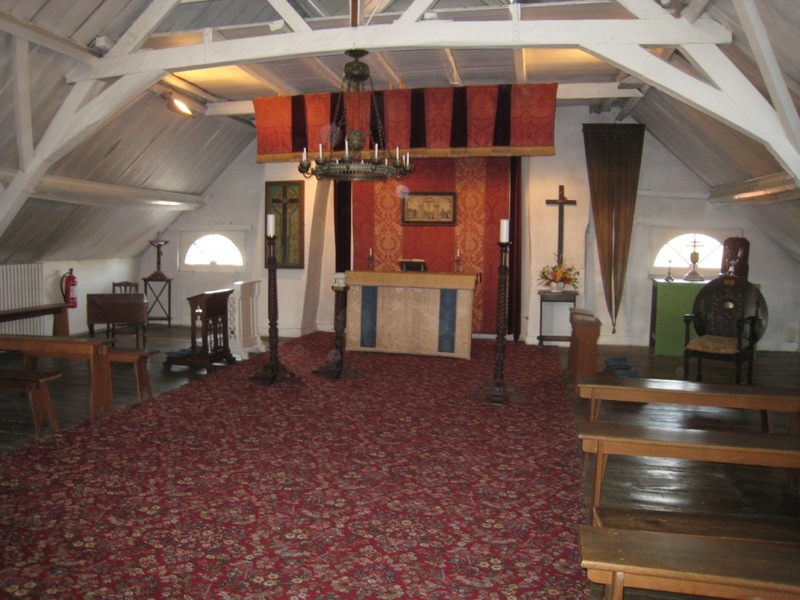 We visit Poperinghe – the tiny town behind the lines where Aussie Reverend Tubby Clayton held masses for his men in his little chapel in Talbot House – unchanged since 1915. Tubby later bought the Pool of Peace – a blown crater in Ieper as a reminder never again to go to war. Nice try Tubby…. In this spot we also take time to reflect on the grave of Valentine Strudwick who joined up aged 14 and died there of wounds aged 15…. We visit “Shrapnel Charlie” a Belgian paraplegic who lives in Ieper and melts down bullets donated to him from the Iron Harvest from the fields. He makes tiny soldier figurines from these bullets and paints them and sells them for 4 euros each as his living from his home. We go to Fromelles just over the border in France – the worst 24 hours in Australian history – and visit the scene of a battle catastrophe that claimed over 5,500 Australian casualties in 4 hours for absolutely nothing and broke the heart of Brigadier Pompey Elliott, the Aussie commander of the 15th brigade. We remember them. We mourn them. We go to the beautiful Notre dame de Lorette cemetery on the commanding ridge outside Lens where 40,000 French men are buried under crosses row on row and talk to the passionate volunteers les hommes en berets who cannot help you enough in telling the stories of the men who rest there. They have taken an oath to volunteer their time and every day of the year they are there to gratefully welcome the visitors from far who come to visit their dead. To commemorate the 100th anniversary of WW1’s outbreak a huge steel sculptured mural has been built here containing the names of all the men who fought and died in that area – be they French, British, Belgian, Canadian, Aussie …. Or German. All names listed alphabetically only as a symbol of respect for all humanity and all men who died because they were made to. We go to Auchonvillers and see the makeshift hospital constructed in an old cellar that became a dressing station and stretcher bearers post during the battle of the Somme in July 1916. We see soldiers graffiti on the walls including the etchings of a young man condemned to death for being 16 years old and AWOL on the Somme from shell shock…. 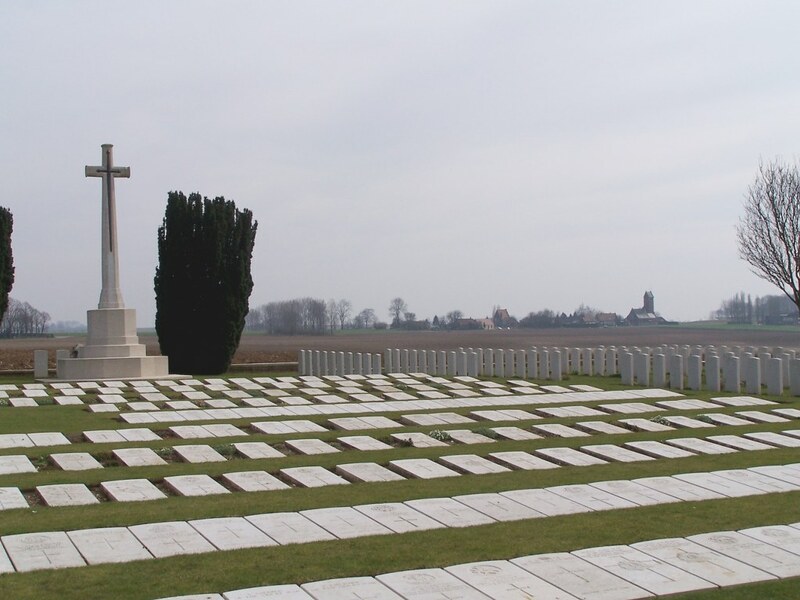 We see the impressive cemetery at Mill Road where the headstones lie flat because the ground caves in beneath them where the Germans had built such deep trenches before the Somme battle. where I once found a soldier’s boot from WW1 – with the foot still inside it. We visit Sunken Lane where Geoffrey Malins filmed his legendary Battle of The Somme film which shocked people throughout Britain when it was first filmed in 1916 to over 20 million people. Sunken Lane was where he took the now famous photo of the young Lancashire Fusiliers as they waited to die and near where he filmed the explosion of a mine which signalled the beginning of the first day of the Battle of the Somme. 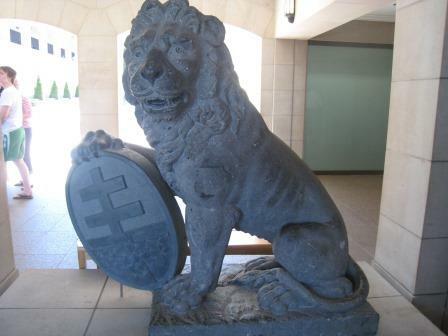 And we go to the town twinned with Robinvale in Victoria – Villers Bretonneux where Australian soldiers fought so valiantly they almost saved the war for the British (they and later the magnificent Canadians) on Anzac day in 1918. 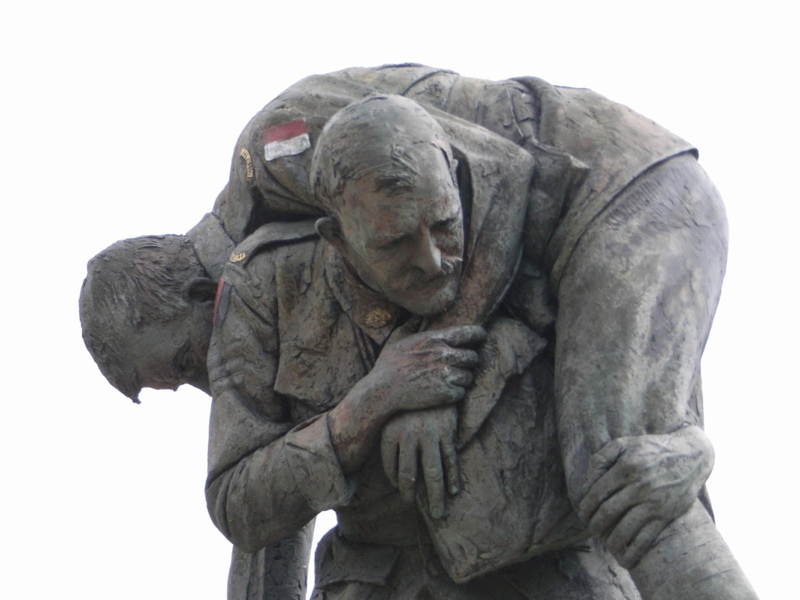 Without their awesome bravery Amiens may have fallen to the Germans and the course of WW1 quite different. VB is where the Anzac Dawn Service is held every year on April 25th and where the whole town honours Australia’s sacrifice and how they saved them from German tyranny on this special day and where the Victoria School houses the Australian museum and with the words Do Not Forget Australia in its schoolyard and where streets are called rue de Melbourne and rue d’Anzac. We continue on to Peronne and Mont St Quentin where Aussies performed more acts of extraordinary bravery fighting the Germans during their final push from the Hindenburg Line without sleep for weeks though vastly outnumbered. It is also where General Pompey Elliott having moments before been shot in the buttocks, addressed his troops with his pants to his knees whilst the medical orderly stitched him up – and he still got a standing ovation! ← Hey wanna buy a French Chateau little girl?